Magnetic or digital ballasts are an essential for any indoor grow room as High Intensity Discharge (HID) grow lamps such as HPS and MH cannot run without one. The purpose of the ballast is to limit and regulate the power for stable and safe operation. Ballasts MUST match the rating of the grow lamp. For example, a 600w lamp MUST be powered by a ballast with a 600w rating. Under no circumstances should a 400w, 600w or 1000w grow lamp be run from a 250w ballast. 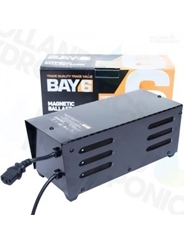 The BAY6 600w magnetic ballast is a fantastic option for growers who are working on a budget, but still want top quality equipment for their indoor grow room. Another outstanding product developed by Kaizen, the newly improved Shogun MK II 600w dimmable digital ballast gives superb performance and value, making it perfect for growers who want a quality product without breaking the bank. The Maxibright Daylight 315w Digital Ballast completes the Maxibright lighting system. The soft-start technology featured allows the lamp to start up gently and on a lower current to avoid any electrical tripping. This, in effect, helps to extend the lifetime of bulbs and gives you a longer lasting piece of kit. The LUMii Digita Ballast is a digital ballast that offers brilliant quality whilst still being within budget. This ballast runs a range of different HID lamps, allowing you to choose the optimal lamp for your set-up with the four different output settings - 250w, 400w, 600w and 600w Boost. The LUMii Digita works with both high pressure sodium (HPS) lamps and metal halide (MH) lamps. The Maxibright Compact Ballast is smaller than your average ballast, but it still packs a punch! It is compatible with both HPS and MH type lamps and gives excellent value for money. Mains electricity is converted by the ballast into the correct voltage and current to start-up and power your lamps. The Pro Gear Magnetic Ballast is an excellent addition to any grow room for those who are looking for a high quality and reliable magnetic ballast at a reasonable cost. The Dimlux Extreme 600W Ballast is an adjustable digital ballast, capable of running at 250W, 400W, 600W and 660W. 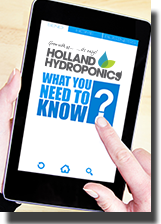 This allows you to modify your lighting to your plants needs as they grow and develop. You can even connect this ballast to the Dimlux Maxi Controller where up to 160 ballasts can be controlled at once. The Gavita DigiStar 600e is an adjustable digital ballast with four output settings. This allows you to modify your lighting to fit your plants needs as they grow and develop. The Digistar 600e Ballast can power either a 400w or 600w high pressure sodium (HPS) or metal halide (MH) lamp – for example you could use 400w for vegetative growth and then 600w for the flowering phase. The overdrive facilities allow you to maximise light output, taking 400w up to 440w and 600w to 660w.